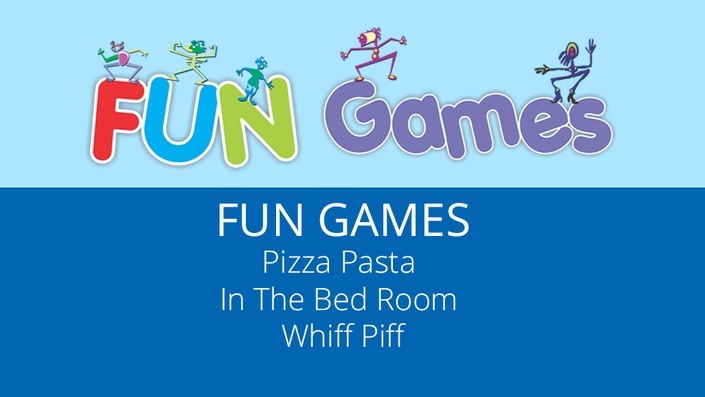 Watch most popular fun games - Pizza Pasta, In The Bedroom and Whiff Piff. Easy to play, they make people laugh and are excellent ice breakers for trainings. These fun games are designed to cultivate childlike playfulness among grownups. Normally adults do not play, but thanks to Laughter Yoga Clubs people are becoming more open to playing and having fun. This video presents 3 increasingly popular games viz. Pizza Pasta, In The Bedroom and Whiff Piff. Easy to play, they make people laugh and are excellent ice breakers for trainings and workshops. Dr. Madan Kataria, a medical doctor from Mumbai, India popularly known as the 'Guru of Giggling' (London Times), is the founder of Laughter Yoga Clubs movement started in 1995. While researching the benefits of laughter, he was amazed by the number of studies showing profound physiological and psychological benefits of laughter. He decided to find a way to deliver these benefits to his patients and other people. The result is Laughter Yoga, a unique exercise routine that combines group laughter exercises with yoga breathing which allows anyone to laugh without using jokes, humor or comedies. Started with just with just five people in a public park in Mumbai in 1995, it has grown into a worldwide movement of more than 6000 Laughter Yoga clubs in over 60 countries. Spreading rapidly in USA, Canada, Europe, Australia, the Middle East, South East Asia, China and Africa, this new concept has been widely covered by prestigious publications like the TIME magazine, National Geographic, and the Wall Street Journal and featured on CNN, BBC, US networks and the Oprah Winfrey Show. Dr. Kataria is a keynote, motivational and inspirational speaker for companies, corporations and organizations all over the world. He is also a corporate consultant for holistic health, stress management, team building, leadership, peak performance and communication skills. A popular speaker, Dr. Kataria is featured frequently on television and radio worldwide and is associated with a number of research projects to measure the benefits of laughter. Recent studies in the USA and Bangalore, India using unconditional laughter have positively confirmed these benefits. This scientific confirmation of what has been observed in thousands of laughter groups marks a turning point in the acceptance of Laughter Yoga in business world and in schools, hospitals, old age centers and other areas.